In between booking a Weird Al Yankovic live phoner for RiverEdge Park, scheduling a TV press junket for Donny & Marie at Paramount Theatre, working on a Merit School of Music feature with WTTW-TV Chicago Tonight, promoting TimeLine Theatre’s terrific new Midwest premiere of Chimerica, and prepping for today’s announcement that the Chicago International Puppet Theater Festival is returning Jan 19-29, 2017, I also had fun hijacking the LCWA Twitter feed this week. Twitter quietly snuck out of the social networking app section of the App Store this week, and swiped itself right into the news section. Twitter is apparently tired of competing with Facebook as a social playground, and instead rebranding itself as a news curation tool. I know that’s how I use it. By mid-week, the Twitterverse was all a’Twitter when the app announced it may remove photos and links from the 140-character limit. That’s BIG. US News and World Report says being busy might be good for your brain. Ahhh, so that explains why LCWA has an office full of brainiacs. Are you brave enough to watch Hyper-Reality, a new 6-minute concept video by Keiichi Matsuda showing the potential future of virtual reality? 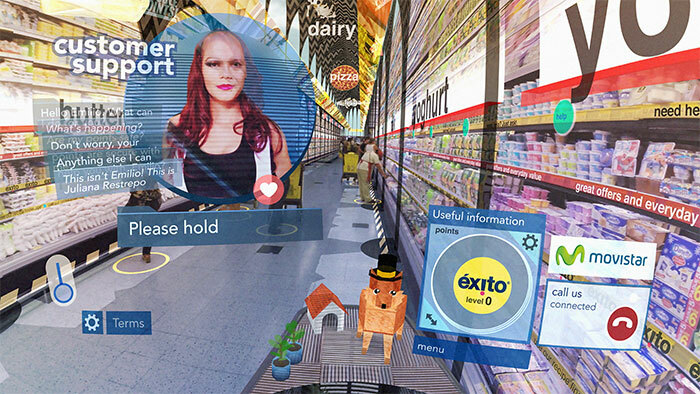 Kinda scary, our world in the not too distant future, where virtual and physical worlds are merged in a city saturated with a never ending barrage of ads, media, messages and pop ups. Note: This film is rated NL – Not for Luddites. On a lighter note, name that ringtone! Musician Tony Ann posted a video of himself playing popular ringtones like the iPhone Marimba and T-Mobile’s jingle on piano. And guess what? Tony makes them sound pretty good. Have a great weekend everyone, and Go Cubs!